The Discipulus project | VPH Institute Why do we need the Digital Patient? The DISCIPULUS support action was funded by the European Commission to define a concrete strategy for the realisation and wide scale adoption of results emerging from the Virtual Physiological Human Initiative. 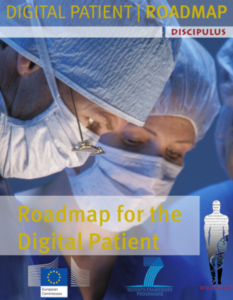 The project run from Sept 2011 to May 2013, successfully delivering the Digital Patient roadmap. The VPHi contributed to the project as external subcontractor taking care of the dissemination and community engagement. The roadmap identifies the key steps towards realising the Digital Patient, which is a new paradigm in personalised medicine, across the whole healthcare system by focusing on the needs of clinical practitioners and healthcare professionals, biomedical and clinical researchers. This vision will be achieved through comprehensive solutions that involve advanced modelling and simulation tools, data acquisition and data management and advanced user interfaces. All this will enable the clinical and industrial translation of the Digital Patient.